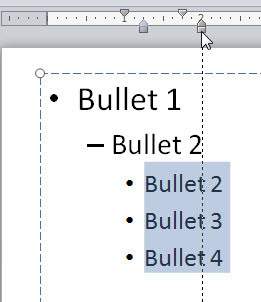 Select the bulleted paragraph(s) for which you want to tweak the positions. 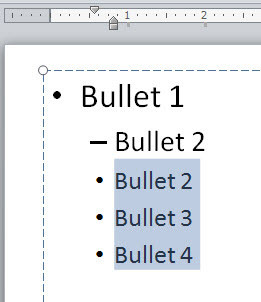 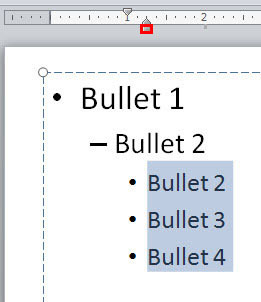 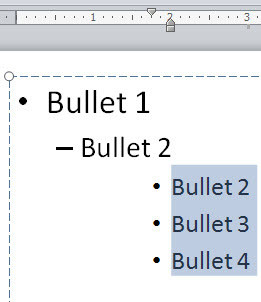 In Figure 1, you can see tht all of the 3rd level bulleted paragraphs are selected (we have used 3rd level bullets in this example because they provide enough space towards both the left and right sides of the selected paragraphs). 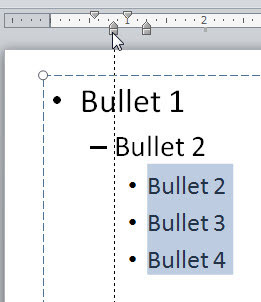 Note: Pressing the Ctrl key while you drag the Indent Markers will give you more control over the placement.